Today, due to increase demand for the use of casings, and expanded their production. Greatly increased range, they vary their shapes and, of course, the materials from which implemented. They can produce square, rectangular, round and oval shapes. Although individual orders can be created as other non-standard forms, such as a hexagon. And of course, they can be of different heights and widths. Cases of wood can be made as of the expensive wood, and not from expensive, with a coating lacquer to give a finished appearance. Their main advantage is that they can be used for packing various items, including food. Cases made ​​of leather and imitation leather - this is a classic version, they are personable and very solid look. 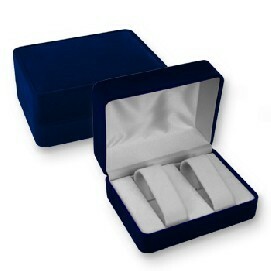 If you need boxes of unusual shapes, are ideal velvet cases. They are presented in a large range: in the form of bags, hearts, roses and all sorts of animals. Cases should be done with the use of bright colors? This desire can be implemented in products made of cardboard. 1. Engraving can put the image on the chests of wood. 2. Screen printing - a universal method of application, since using it allows putting the image on the wallets of cardboard, leather, synthetic leather and wood. 3. Stamping - thanks to him we get a dent in the image material is transferred to products made ​​of cardboard, leather and imitation leather. Inside the cases may have a different frame. Quite often they are inside upholstered in velvet, and in some cases found lodgment of the atlas. When appropriate, cases are divided into sectors. When it provides some form of placement of objects, then made ​​within the respective shape and size of the hole.